I know this imperfectly conveys my feelings about you, but I’m hoping there is grace enough to take my incomplete thoughts and perfect them in your mind. In the words of someone far more eloquent: “You must allow me to tell you how ardently I admire and love you”. Today I had the great pleasure of seeing a matinee performance of the musical Big Fish at Taproot Theatre as part of their 40th season as a theatre company. As a milestone, it’s astounding, and as a work of theatre, Big Fish is a terrific piece with some standout performances, and the cast, crew, directors and designers all deserve the accolades due them. The continued lines of relationship in our lives, parent to child, form the backbone of Big Fish’s story of self-discovery. How we tell that story to those closest to us shapes those lines of relationship, and gives us a wonderful gift of perspective. And it’s at times like anniversaries, milestones, that perspective seems to come more easily, personally and publicly. Taproot has meant many things to many people, and like most robust theatre organizations, has left its own unique stamp on its audience, and the greater theatre community in Seattle. I have had the distinct honor of joining with Taproot in their mission to bring stories to their audience that “brighten the spirit, engage the mind and deepen the understanding of the world around us ” as a cast member in several Taproot productions. In my time working as part of Taproot’s company, I’ve seen amazing things happen on stage, in rehearsal, and in people’s lives offstage. I know most actors have, regardless of what theatre they’re working in. Actors, by and large, are a sensitive breed of people. We notice things, listen closely, read between the lines of voice and movement. Producing theatre can be extremely hard. Emotional risk and vulnerability is an essential part of the journey we as performers take with an audience. An audience which sometimes might not want to come along with us. Time with family and friends is forsaken as we prepare for performance. Sacrifices are made in the hope that the end result, the experience for the audience, will allow something new to be born in their minds and hearts. And after all that, we fail in our goals at least as often as we succeed. An element of faith is involved in this work. And maybe it’s not religious faith. To quote Stoppard: “It’s a mystery.” Maybe it’s the faith we can have in each other, that we’ll be supported by our colleagues and friends. That if we fail, we all fail together, and that if we succeed, everyone is responsible for that success. A professional life in the performing arts is by no means necessarily a glamorous one. Yes, when you finish your task each night before an audience, if you did well, there is at least courteous applause. However, the strain, work, and stress prior to, and often during a run of performances can become burdensome. Our lives outside the theatre do not cease to exist. We still must pay bills, tend to our physical needs, and for those of us with families, ‘keep the home fires burning’ as it were. Each of us deals with these difficulties in our own way. I was fortunate, during the run of John Walch’s “In The Book Of” at Taproot Theatre, in that I was presented with a bosom companion: faithful, if tousled and nearsighted, and above and beyond the call of commiseration. An imminently perfect listener, and constantly able to reflect back to me the more hopeful parts of my day, the successes on the boards; I found in Becky a friend without judgment, whose acceptance I came to rely upon, day-in and day-out. With the closing of “In The Book Of,” I know that the vacuum created by the absence of my colleagues at the theatre will be filled by the activities of daily life, and while I will miss their presence I know that soon I will see them again. The theatre community is one of partings and reunions. 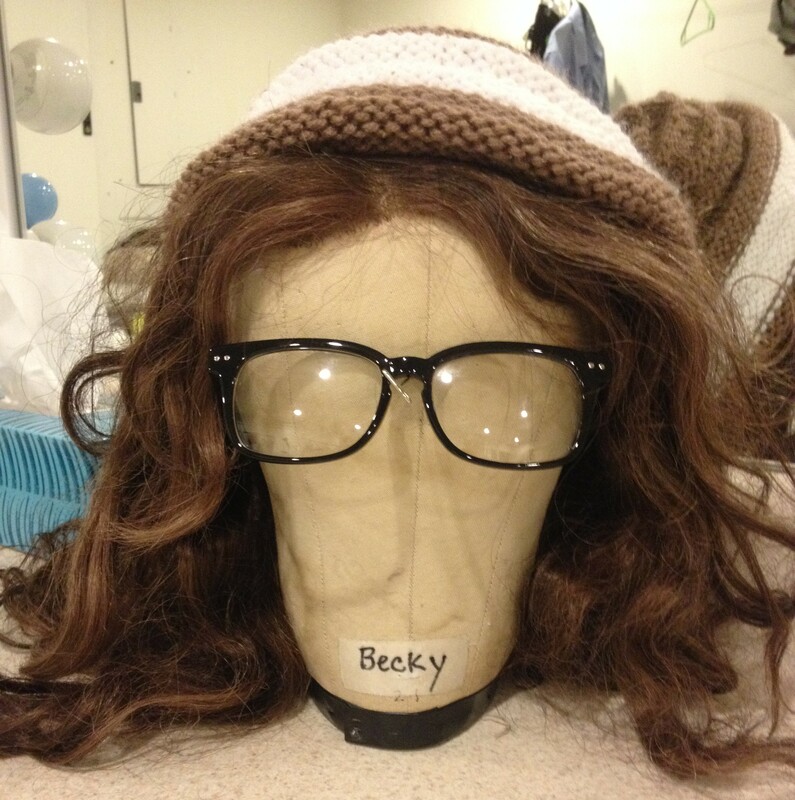 In my parting from Becky, however, I feel there is a space in my life that may never again be made whole. Farewell, old friend. Farewell. Well, here it is: go time, the magic moment, curtain, butterflies and all that stuff. It’s opening night! In the Book Of at Taproot Theatre had it’s final preview performance last night, and tonight we open the show to the paying public. I would write more, but what I have to say would make much more sense if you come and see, and hear what I’m talking about. Let me ‘splain. No, there is too much, let me sum up: We have a good one on our hands here, folks, at a good theatre that values and encourages further thought and discussion, a theatre that provokes and challenges it’s audience. I wrote in a prior post that in my faith tradition, this time of year is one of reflection, contemplation, and a ‘return to God’. I don’t know how to manage that last one, honestly, but this show has brought me to reflection and contemplation. So, if you feel so moved, and like me, are in a time when a little reflection, a little contemplation, could be helpful, come check this play out. See you after the show! In the collaborative world of the performing arts, in this case, theatre, an actor rarely finds his work performed in a vacuum (unless you’re into some craaazy performance art.) By this, I mean that not only does your work and craft exist on stage next to that of your scene partner, but your work is put before he audience in concert with the work of designers and builders of all the physical elements of the production, as well as the lighting designer, and the sound designer, choreographer, director. At no time does this strike me more than during ‘tech’ rehearsals. It’s during these rehearsals, usually just before the first dress rehearsals and first audiences of a given work, that all the elements of production come together with the acting work done in the rehearsal hall, in a more or less organized way. And this brings me to the title of this post. I’m working with wizards. Yep. 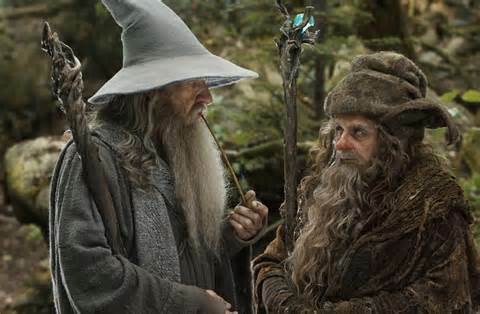 Long beards, interesting hats, magical staves, robes. Funny names, usually with a color in there somewhere. Wait. No. I AM working with wizards. They may not stand out in the way they dress, or in their tonsorial or naming choices, but they do possess powers beyond my understanding. Their creative gift and hard work brings an incredible amount of life and detail to the work we do as performers. For instance, in my current production “In the Book Of” at Taproot Theatre, I was particularly struck by the wizardry of our sound designer during last night’s tech rehearsal. As we heard some of the sounds that would be enriching our play for he first time, several of us were struck with the sheer power of the designer’s creation and his ability to bring us into the internal world of a character simply through music and sound. We were moved. And we knew a depth to our work we hadn’t experienced before. It was a sublime moment that I’m excited to get to share with our audience. So come join us! Partake in some theatrical wizardry! Ladies and Gentlemen, may I present my current theatrical project? I give you: “In the Book Of” by John Walch at Taproot Theatre. This is a big play, with wide-ranging subject matter and clear resonance with the complex difficulties we find ourselves facing today. In my faith tradition, this time of year is one of reflection and this play is excellent food for thought and discussion. We open March 28, and perform until April 26. For ticket information, click the banner or link above to be magically whisked away to Taproot’s website! See you at the theatre! Even though it is the middle of audition season here in the greater Seattle area, production continues, as ever, as companies put up their last few shows before the summer. There has been some great work on the boards this spring, with lauded productions like NCTC’s The Trial, Balagan’s August: Osage County, ACT Theatre’s Assisted Living, Seattle Rep’s Boeing, Boeing, Seattle Shakespeare’s indoor re-mount of Wooden O’s The Taming of the Shrew, and Taproot’s The Whipping Man, just to name a few. Sound like your cup of tea? Want glittering, witty dialogue, tights and wigs, and some swordplay? Itamar Moses’ script is a multi-faceted gem of intelligence, character, and comedy, with depth to surprise and ideas to challenge you to think further. Being a reader of discernment and excellent taste (as demonstrated by your choice of electronic literature, ahem): I know this show is for you. Click the banner above to be magically whisked away to Taproot’s webpage for information on dates, times, and how to get your hands on what is sure to be a hot ticket. Jeeves? Fetch my Blog, will you? Adapted from the famous “Jeeves and Wooster” stories of British humorist P.G. Wodehouse, Margaret Raether’s “Jeeves in Bloom” follows the hapless Bertie Wooster and his ‘gentleman’s gentleman’ Jeeves (portrayed by, well, me) and their misadventures in the gardens of an English country manor. The Seattle Times: ‘Jeeves in Bloom’ a valentine to Wodehouse fans. To have a show sell out is a real privilege, and I have truly enjoyed bringing our version of Sir Wodehouse and Mrs. Raether’s ‘Jeeves and Wooster’ to the Seattle community. There are projects on the horizon. Stay tuned (or, maybe check back in a couple weeks) for more!